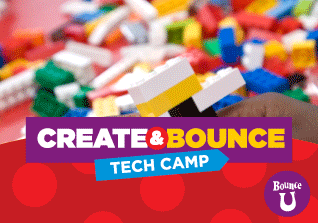 Our Bricks and Bounce event features Bricks 4 Kidz which allows your child to experience awesome building either before or after bouncing. We will spend 60 minutes building models that are motorized - they move! We Learn, We Build, We Play with LEGO Brick. 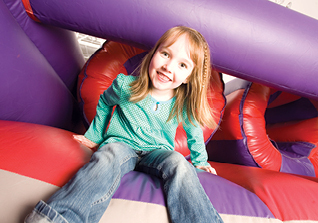 Following your session have a blast bouncing in our Bouncetastic Bounce rooms for 1 Hour. $20 per child. Socks and waivers are required.You can make your reservation online (Visa/MC/DISC/AMEX) or by calling the store at 636.532.5867. Your reservation must be for all bouncers under 18. Walk-ins will not be accepted if an event is full. Don't forget socks! ***NOTE: Online reservations require pre-payment at the time of booking. Sorry, Reservations are non-refundable. RESERVATIONS REQUIRED!!! 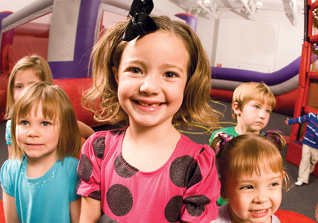 You don't need a special event to get your bounce on. 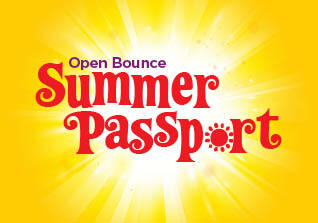 Reserve your spot now online for our next Open Bounce, then come on by and enjoy our awesome inflatables, fantastic games and wall-to-wall fun! You bring the socks - we'll take care of the music, games & everything else! Times subject to change. RESERVATIONS REQUIRED! 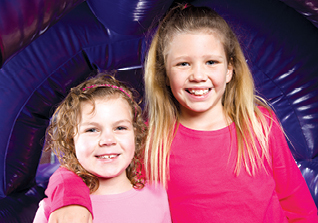 $7.95 Admission charge for any child 6 years and under. 1 adult is FREE with a paying child. Children must be able to walk to play on the equipment. You can make your reservation online (Visa/MC/DISC/AMEX) or by calling the store at 636-532-5867. Walk-ins will not be accepted if an event is full. Don't forget socks! ***NOTE: Your reservation must be for all bouncers under 18. Walk-ins will not be accepted if an event is full. Don't forget socks! ***NOTE: Online reservations require pre-payment at the time of booking. RESERVATIONS REQUIRED!! !